Let’s be honest, the majority of us do not know the differences between a paramedic and an EMT. It’s not our fault though, there are so many different times when we see a paramedic come to a scene or an EMT, and we always think they are the same. 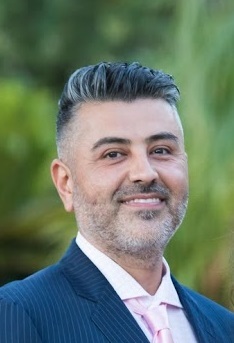 However, there are a few key differences between the two, and knowing them can further expand your knowledge of the medical field as Steve Farzam knows first-hand. Steve Farzam lets us know the first difference between the two is in the amount of education. 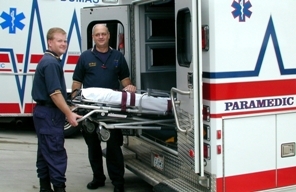 Generally, an EMT will complete a 120-150 hour long course while a Paramedic will complete a 1,200-1,8000 hour course. As you can see, there is a huge difference in the education level the two receive. This does not mean that a paramedic is better, it just shows they have more education. Both of the courses have in depth tutorials on how to treat emergencies. They all have lectures and hands on training and both undergo extensive training sessions. EMT’s are trained in a lot of the same aspects that paramedics are, but are not allowed to do a few things. One of the things an EMT is not allowed to do, says Steve Farzam, is break a patients skin for treatment. This means they can not use any needles on the patient unless there are certain circumstances such at the patient having an allergic reaction. However, EMT’s are still very highly trained and can do most of the same tasks as paramedics if the task needs it. Paramedics are a bit more advanced in their training. Their training consists of medicating patients, starting a intravenous line, and many more advanced skills. Paramedics are also much better trained in supporting patients with serious medical conditions such as heart attack. In short, paramedics are more of a mobile hospital. The care that they are able to provide is the same quality as one would receive in a hospital. That is why they are needed in much more serious situations such as heart attacks, when a patients life is in danger. Paramedics also undergo a lot more in the field training. Generally, says Steve Farzam, paramedics must do at least 500 hours of an internship that requires them to learn the profession more. This ensures that paramedics are ready to go and fully trained when they step foot on the job for the first time. Not only does this ensure that patients are getting the best help possible, it allows the companies that operate keep a good name. They want to make sure that their paramedics are only the best in the field, and that no patients have to go through anything they should not because of an untrained paramedic. There are some big differences and some similarities between a paramedic and an EMT. Both are well trained and are able to take care of most situations. However, paramedics do have the upper hand when it comes to training. So the next time someone ways they are the same, you know have the knowledge to back up your answer of “no”.